Soft, fluffy, cake like baked donuts topped with a bittersweet chocolate ganache are the perfect excuse to enjoy chocolate for breakfast. Both Tiffany and I love cuddling up and talk nonsense in the morning, especially on the weekends when there’s no rush to get out of the bed. Completely forgetting about my never ending chore list and taking it all in. Our silly talk continues in the kitchen. Most days we end up cracking eggs and measuring flour before the coffee machine is done brewing. You know what goes well with a cup of coffee in the morning? Donuts and more donuts!! 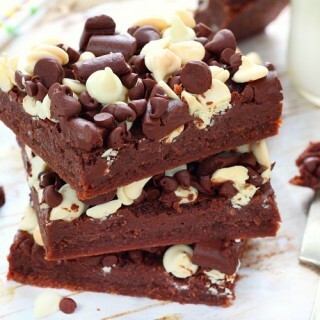 Since my little baker is still in training, all the recipes need to be quick and super easy. And these chocolate glazed baked donuts fit the bill. 5 minutes of prep time, one bowl, no mixer. How’s that for easy? My donut pan is one of those pans it rarely gets used in the kitchen. Since it’s used just to bake donuts I was a little skeptical when I bought it. I was not sure if it’s worth the investment. With over-crowded cabinets filled with pans I use one or twice a year, I was on the fence buying a new “special” pan. Turns out I used it more that I thought. Which is a good and a bad thing in the same time. 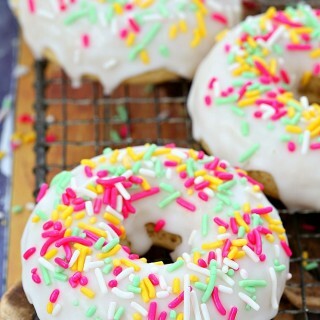 The good thing, more donut recipes will make their appearance on the blog in the future. The bad thing, I will be baking lots and lots of donuts. I wish there were donut pans with 12 cavities. It’s a little time consuming baking only 6 donuts at a time, unless you have 2 donuts pans, of course. I don’t. 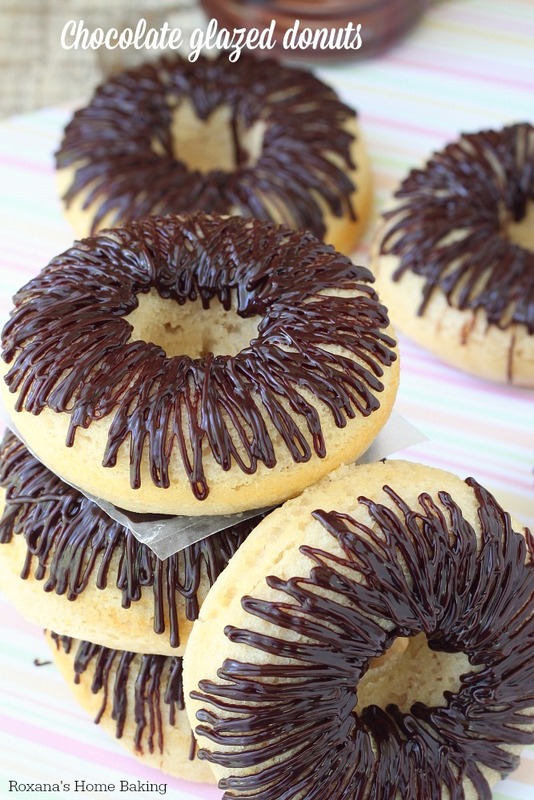 These chocolate glazed baked donuts are definitely worth the effort. You start by mixing the egg, sugar, milk, coffee creamer, grapeseed oil and vanilla extract with a hand whisk in a bowl. Gently fold in the flour and mix until just combined. That’s all! No mixer, no mile-long list of ingredients. Doesn’t get any easier than that! 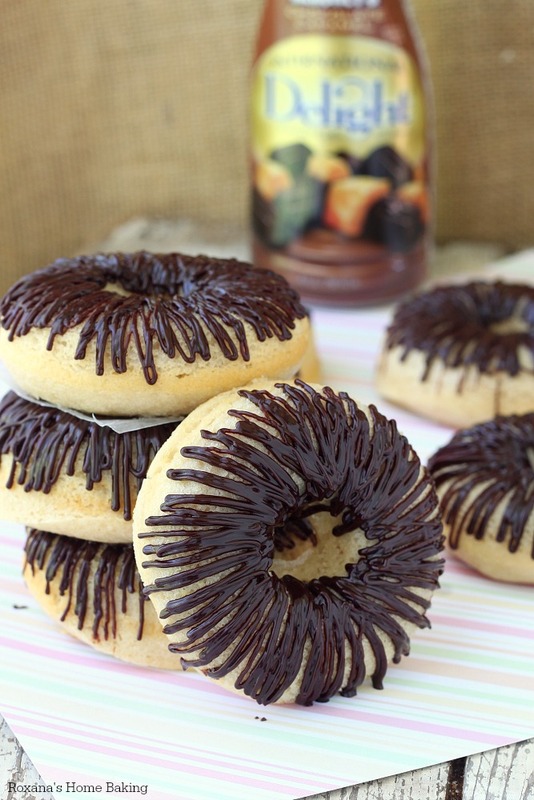 For these donuts I used International Delight Hershey’s chocolate caramel coffee creamer but you can definitely use your favorite International Delight creamer. You can use the classic vanilla coffee creamer and make a vanilla glaze. Or maybe omit the vanilla extract, add 1 teaspoon of pumpkin spice and use the pumpkin pie creamer for a fall version. 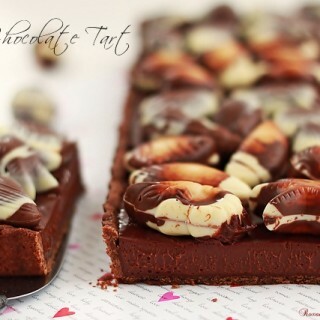 Think of this recipe as the starting point for other flavors. Heat the oven to 350F. Grease a 6 cavity donut pan. Set aside. In a medium size bowl add the egg, sugar, milk, coffee creamer, grapeseed oil and vanilla extract. Whisk to combine. Gently fold in the flour and baking powder. Stir until just combined. Place the donut batter into a big ziploc bag. Cut one of the corner off the bottom of the bag and pipe the batter into each donut cavity, filling them 2/3. Bake the first 6 donuts in preheated oven for 13-15 minutes or until a toothpick inserted in the middle comes out clean. Remove from the oven, leave to cool for 5 minutes in the pan before inverting and removing the donuts from the pan. Let the donuts cool completely on a wire rack. Meanwhile, wash and wipe the donut pan and bake the remaining 6 donuts. Once all the donuts are completely cooled, make the ganache. If you prefer a thicker glaze, like mine, use only 1 tablespoon of coffee creamer per 1/4 cup chocolate chips. If you want a thinner glaze, use 1 1/2 tablespoons or even 2 tablespoons. It’s up to you. To make the glaze, add the chocolate chips and the coffee creamer to a heat proof bowl. Microwave for 45 seconds to 1 minutes. Stir to combine. If needed, microwave for few more seconds. 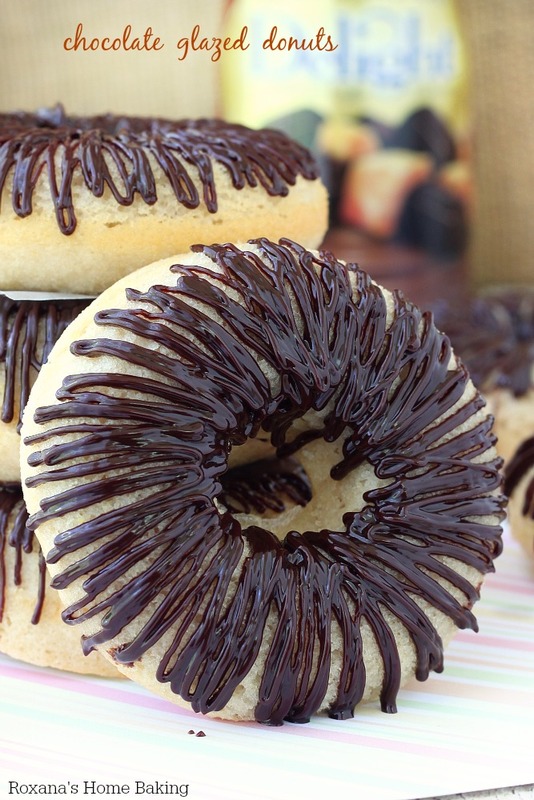 Drizzle the ganache over the cooled donuts. You can either use a spoon or a ziploc bag with a corner cut off. These must be the prettiest doughnuts I've ever seen! WOW! Those look to die for! These donuts are incredible Roxana! Cooking with kids can be so much fun! The sooner you start, the sooner they become comfortable in the kitchen! I bet your daughter loved making these doughnuts! Flavoring them with coffee creamer is such a great idea!